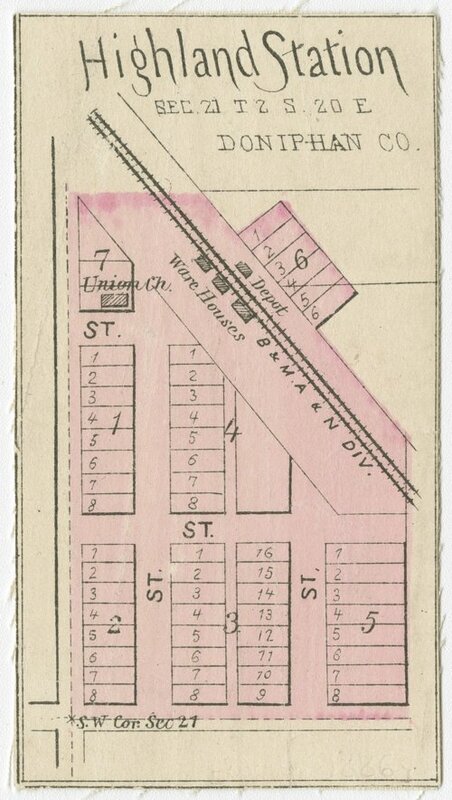 A map of Highland Station in Doniphan County, Kansas. A post office was established here in 1871. In 1908, the city changed its name to Sparks, Kansas.